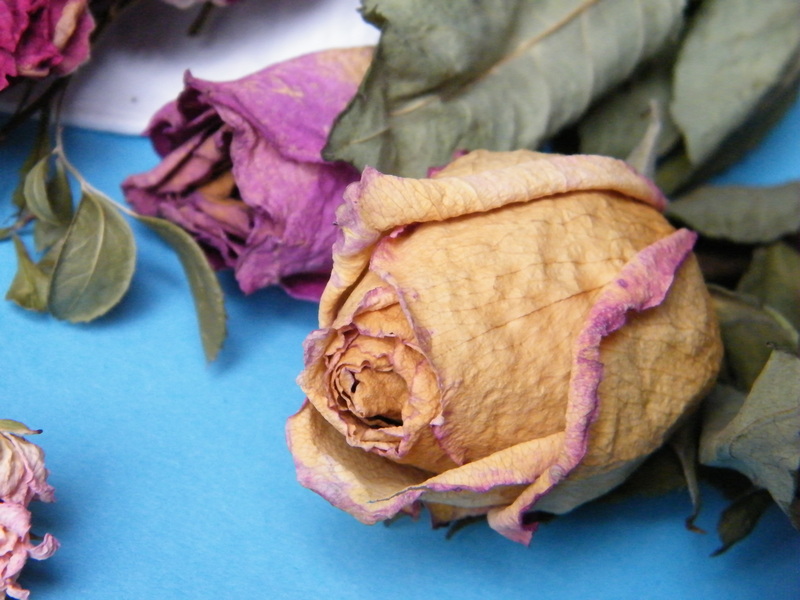 Below are some long-stemmed dried roses from last Valentines Day. 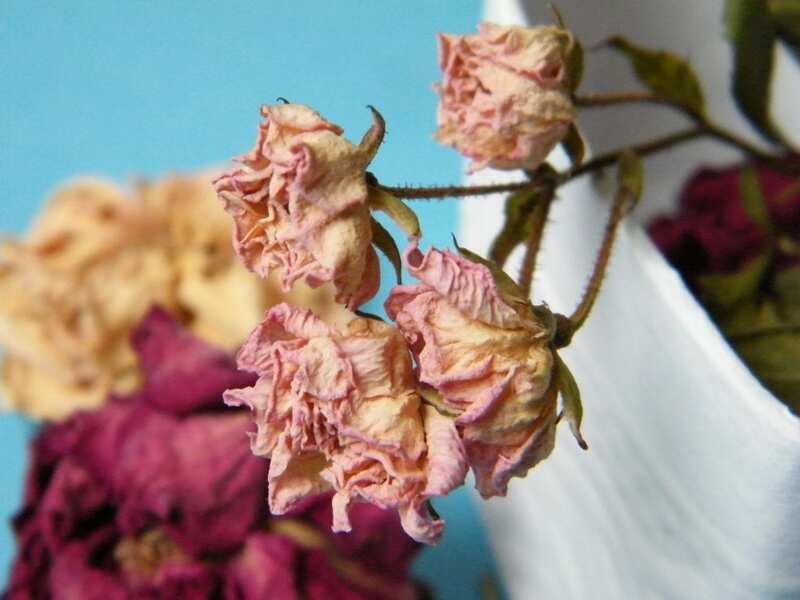 Once the fresh flowers started to fade, I hung them up to dry. 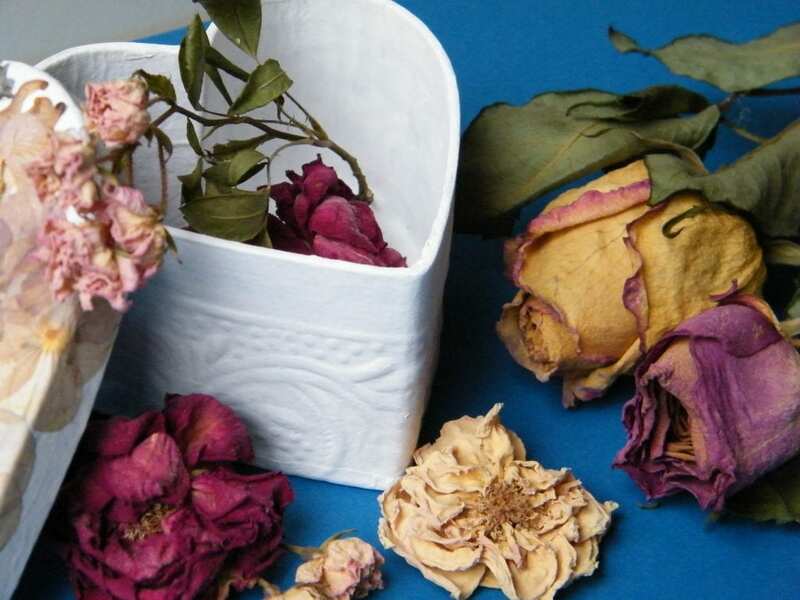 How to preserve Valentines flowers. 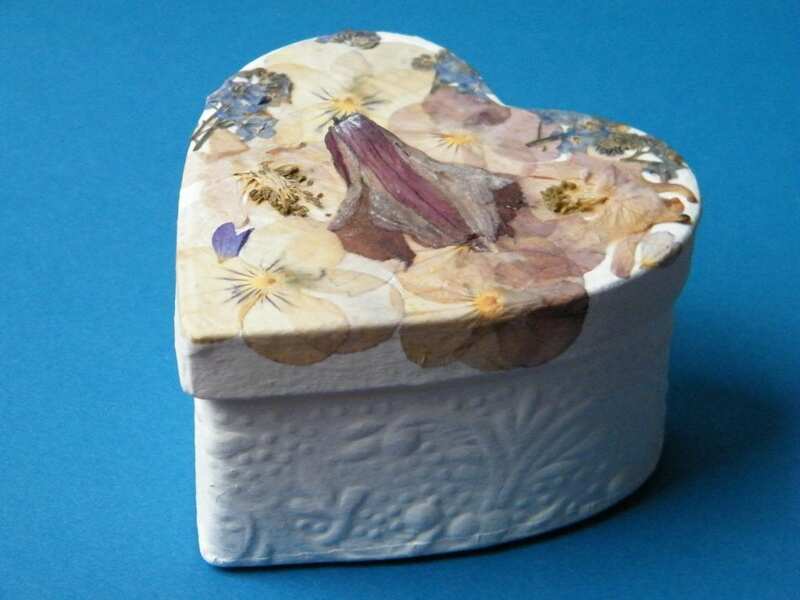 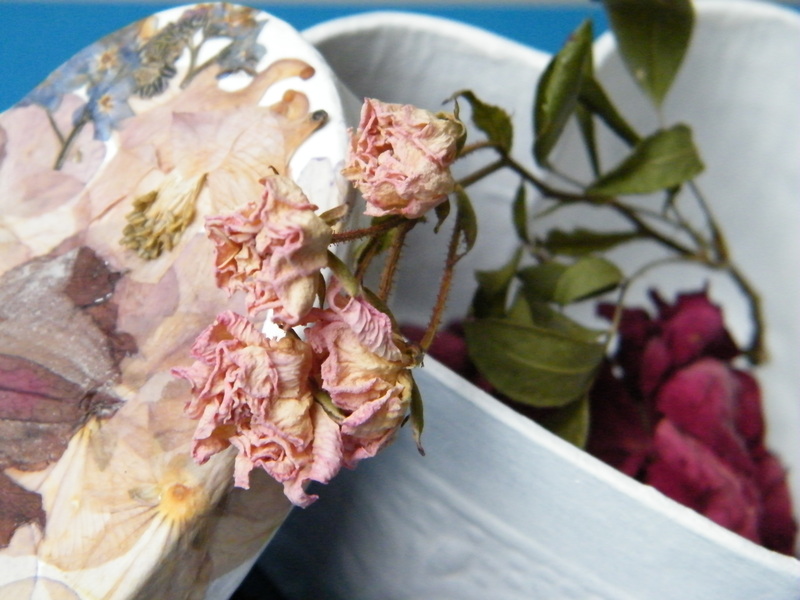 I filled the pressed flower box I made last week with dried rose memories. 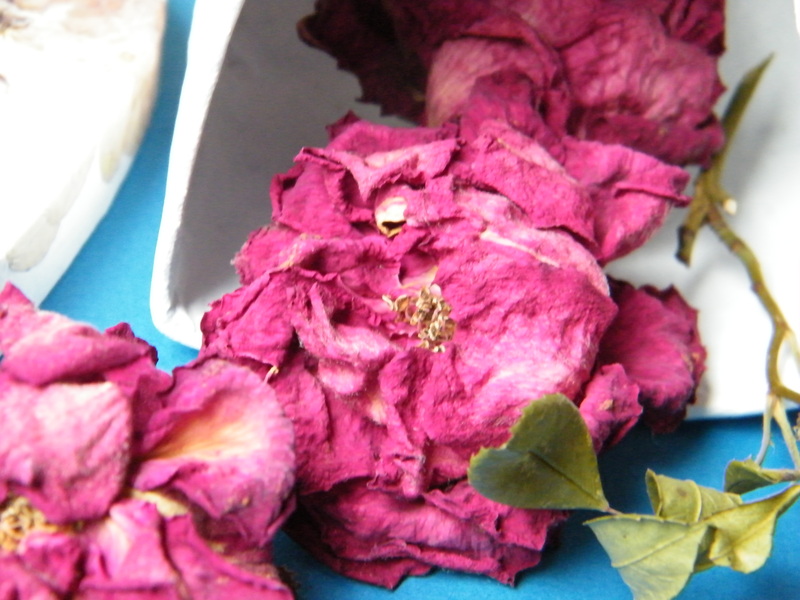 I filled my box with little dried roses from last years Summer garden. 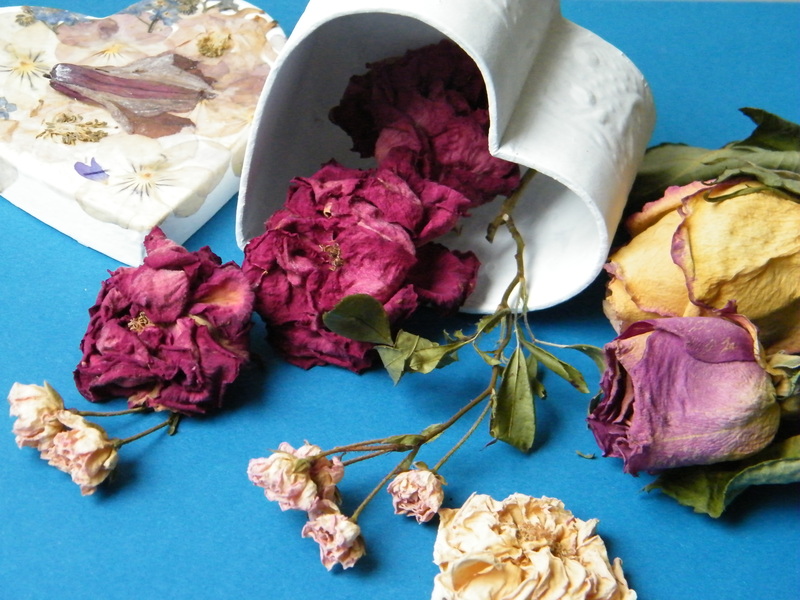 In the Victorian language of flowers, each flower conveyed a secret message.